A perfect natural beauty in pathanamthitta district , Maneera water fall is located near Adavi Eco Tourism Center. Maneera promises an alluring visualization and silence of a countryside. 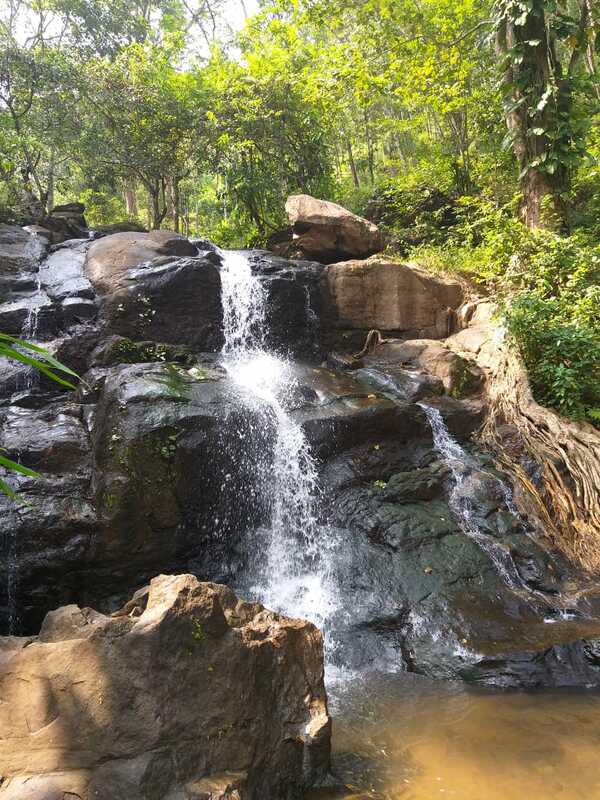 Walking within 2km from Adavi Eco Tourism we can see a beautiful waterfall flowing its water in two steps. This stunning water fall is surrounded by beautiful greenery on all sides, and is an exotic view of nature’s prowess. Water cascades down in two steps and it makes a pool which is a spectacular place for swimming. Water falling through a steep rock and dropping at different places is an exciting view from this place. The Cool water and nice eco friendly atmosphere makes this place any nature-lover’s favorite spot.